Well here it is end of January. How are you doing on your New Year’s resolutions. Studies have shown that less than 25% keep them past 30 days and only 8% actually accomplish them. I have stopped setting NYE resolutions because I have proven more times than I want to think, how many times I’m in that 75%. Don’t get me wrong, I set goals all the time. I think of goals different from resolutions. For me goals are a positive way of chunking down old habits that may have worked at one time, but are just not useful anymore.That’s a much more simple way to be successful. I am all about simplifying aren’t you? Or maybe I should say with certainty, who isn’t in this crazier than ever world? This is how I see selling. We were taught habits that really don’t serve us well anymore, that have been handed down for years! Many still hang on to this for dear life as if the thought of changing up what you’re doing will be the end of your selling career. 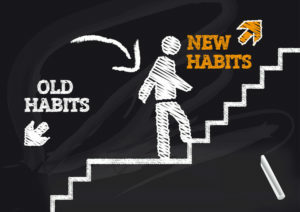 Well, my selling freinds, I will tell you breaking that old habit can be challenging, but not changing can be deadly! So, I am going to share with you what the number one habit is that you must change, TODAY! Why? Because you’ll make more money! It’s a habit I continued for 18 years of my sales career and “seemed” to have worked during those years. It’s the habit I was taught and I am guessing handed down from decades of people that were taught the same. Have you said (or how many times have you said) I can’t get to see a client until I have something new. And you believe it so it becomes your habit. How many managers have told you, “You need to make more appointments, see more people? That’s been handed down and they believe it and hand it down to you…habit! How many times have you said to a colleague or even your manager or boss, it’s SO difficult getting appointments! My clients are booked out until June. Belief…forms habit! If you answered yes to one or all of these (I know I hear this all the time), you are mired in that old way of doing business. That old habit. And what do you do to overcome this? Do you read more and more articles on “How to get passed the gatekeeper” or “The perfect things to say to get you an appointment”. Do you read the 1 out of 1 million books on selling hoping one of them will be the perfect answer for your plaguing problem of getting more appointments. Well, your prayers have been answered! I am going to tell you things that will allow you to breathe a breath of relief. If it’s sales your looking for and not filling a day with appointments and showing more and more product, here’s your answer! Clients will remember you more because of that trust and buy when you’re not even there. 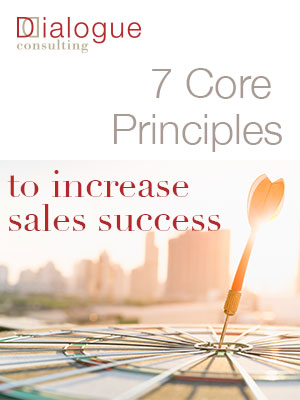 and of course…GET MORE SALES! Now I ask you, is trying to get more appointments, more product, more follow up an old habit you want to break right now? DO IT! It works! Previous Previous post: Sales people and companies who sell to interior designers, is it too late?